My feelings toward the anime I viewed this year were overall quite positive, even though not all of the classics that I set out to watch made this list. But the surprises that were in store were quite welcome, with Serial Experiments Lain and Casshern Sins proving among the freshest entries into the science fiction genre. Ghost in the Shell proved disappointing, but series like Fullmetal Alchemist: Brotherhood, Cowboy Bebop, and Darker Than Black: Gemini of the Meteor more than made up for it (that last series came just a hair shy of making this list). 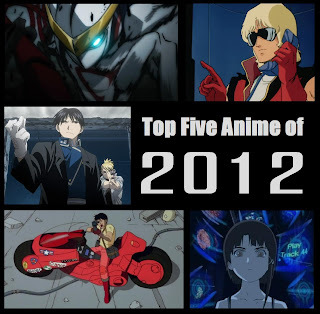 As I begin working my way through new anime for 2013, here are the five anime I was most impressed with in 2012 - keep in mind that, as with my top five video games of the year, the rankings do not necessarily reflect the ratings I ascribed to them, but rather are a reflection of my own personal enjoyment in watching them. #5 - Casshern Sins: As mentioned in my review of this series, Casshern Sins presents a breathtakingly beautiful vision of a world on its way to extinction. This is one of the most fresh and original post-apocalyptic tales I've experienced in recent years, and it is thanks in large part to the fact that the cast is almost entirely devoid of humans. Instead, the world's remaining populous is comprised primarily of robots - robots who have discovered they are mortal, thanks to Casshern's unleashing the Ruin. The way that these robots take on human characteristics or even behave in ways they believe to be human is as entertaining as it is unsettling, as there is little to compare them to in this increasingly devoid realm. Meanwhile, Casshern's need to conquer his destructive side and learn just who he is and what he has done, as well as the manner in which he learns from each individual he meets, fuels the main story arc. #4 - Serial Experiments Lain: The more experimental a sci-fi anime is, the greater tendency it has to be highly-polarizing. In the case of Serial Experiments Lain, my viewing experience was one so bizarre yet fulfilling - a feeling that can only be accurately compared to my first viewing of Neon Genesis Evangelion. Lain is incredibly trippy, and the series raises just as many questions as it answers. But it's a wonderfully inventive product of 1990s grunge culture and new wave industrial science fiction. #3 - Mobile Suit Zeta Gundam: I'm a huge fan of Gundam and tend to be partial to the Universal Century series over the Alternate Universe visions of this long-standing mecha powerhouse. I have a real appreciation for everything that was accomplished with Zeta Gundam in solidifying a number of characteristics that would appear in nearly every Gundam series thereafter. Sure, the dialogue is cheesy at times, and the battles often take on a back-and-forth approach for large portions of episodes. But on the larger scale, the writing is solid, the mobile suit designs very creative, and the characters quite the likeable bunch. The dynamic that Lt. Quattro and Kamille share is easily one of my favorites in the metaseries, and the fact that there's a balance of cast members new and old makes the show all the more accessible. #2 - Akira: I'm quite fond of early science fiction/speculative fiction works like those by Aldous Huxley and Ray Bradbury, and Akira certainly carried a similar tone throughout. 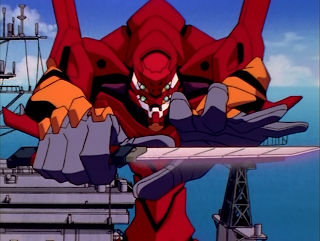 I'm also a diehard fan of Neon Genesis Evangelion, and to see one of its predecessors handled so perfectly was a real treat. Though I've seen a fair number of standalone anime films in my day, there are not many that I consider to be at the caliber of full-fledged series. But Akira is an incredible achievement for its day, and ranks as one of my very favorite anime films. #1 - Fullmetal Alchemist: Brotherhood: I fell in love with the 2003 quickly after starting it, and though I realize it deviated heavily from the manga source material, I still found the development of plot and characters a major step up from most other anime. Fullmetal Alchemist Brotherhood cranks it up another notch, having better focus in mind from the outset. Though the first dozen episodes are rather fast-paced, the remainder of the series is handled brilliantly as Ed and Al search for a way to restore their bodies. The story feels more complex due to its following a now-completed source material, and the story of the brothers Elric is easily one of the most wonderfully human tales expressed in any modern fantasy epic. One of my major goals this past year was to view a number of anime considered classics by the community/fanbase. While I still feel there are a number of 'classics' I have yet to tackle, I conquered a few major titles this year, as well as some series and films that I simply wanted to watch based on my own personal interest. As a whole, my feelings toward the anime I viewed this year were rather positive - there was only one in the bunch that left a strikingly negative impression upon me. Even something like Deadman Wonderland, a series that I would probably not have otherwise watched had it not aired on the revived Toonami, proved interesting, to say the least. There are a number of series and films I hope to complete in 2013, but before I begin any of those, here is a recap of every anime I reviewed in 2012. As with my previous top five game of the year lists, the following games are more a reflection of which titles I had the most fun with or felt were noteworthy for any number of reasons (gameplay, creativity, successfully catering to a certain genre, etc.). While these games do not exactly follow the ratings I ascribed to them, they follow more closely that some of the games I rated in years past, as each of these games earned ratings between 9 and 9.5. Also, any games that I had played in previous years were ineligible for making this list, unless they were a remake (in the case of the Metal Gear Solid: HD Collection, MGS2 and MGS3 were not eligible, but Peace Walker was in the running and came pretty close to earning a spot this list). #5 – Super Mario 3D Land: I’m generally partial to 3D Mario games over the side-scrolling entries, probably because Super Mario 64 was one of my first outings with Nintendo’s leading mascot. 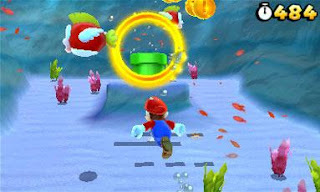 Super Mario 3D Land presents a hybrid of these two gameplay styles. 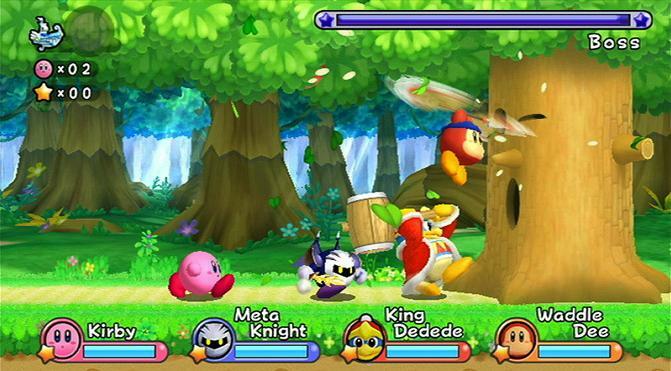 None of the stages are particularly long, but they all feel fully-realized and present plenty of variation in aesthetic style and obstacles/enemies. The boss fights are perhaps the only lackluster part of the experience, but the airship stages leading up to each are exciting enough. 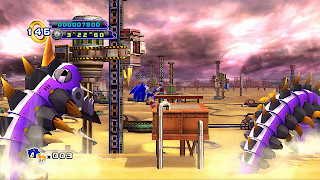 The post-game is incredibly expansive – effectively, the number of stages is doubled, and said bonus stages are rather intense. The use of 3D allows for greater depth perception throughout, while also making a few key stages very cinematic in delivery. #4 – Final Fantasy IV: Though I never played Final Fantasy IV in its original SNES release (known stateside as Final Fantasy II), I felt right at home the moment I started my journey with Cecil, Kain, Rosa, and company. Final Fantasy IV takes advantage of the DS to present a cleaner vision of the game. The soundtrack has been gorgeously reorchestrated, while the characters are portrayed as semi-chibi. The boss fights are impressively rendered and some of the obstacles require unorthodox means to overcome them - this is a large part of why I enjoyed FFIV so much; it retains the 1990s-era degree of challenge. The cast is easily my favorite from any of the Final Fantasy titles I have played to date, the battle system is perfect, and the whole experience feels genuinely rewarding. 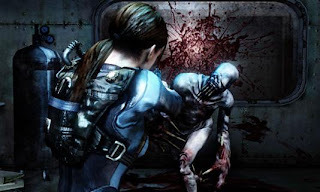 #3 – Resident Evil Revelations: It’s rare that a handheld sidestory will stack up to a major release in terms of quality, but Resident Evil Revelations is, in my opinion, the best RE title since Resident Evil 4. The cruise ship setting is sufficiently creepy, while the enemy designs draw from sea creatures and round out the horror side of the experience. 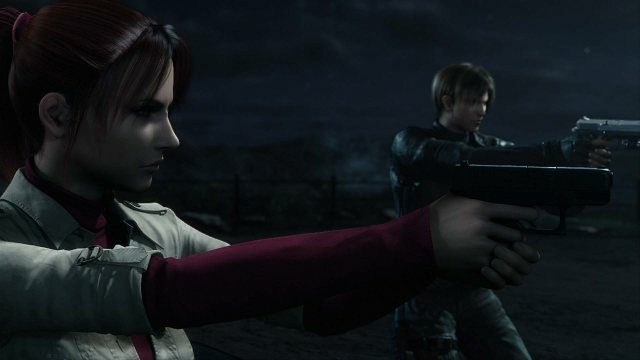 The game plays like the more action-heavy entries in the series, but ammo is not nearly as abundant as it is in either RE5 or RE6, forcing you to be tactical and conservative when fighting enemies. Resident Evil Revelations blurs the lines between handheld and console games, offering up what is one of the most impressive experiences on the 3DS to date. #2 – Pokémon Black and White: Much like with Heart Gold and Soul Silver, I love the way that Nintendo has made the Pokémon games more user-friendly over time. Each of the new types available has its own particular use, with some being highly-specialized and others being fairly rounded, but the element of strategy is still as prominent as ever. I really appreciated the fact that the game required practically no time grinding so that I could keep chugging along through the story (which, I might add, is the best I've found in the entire series). The gym battles certainly dish out a better challenge in Black 2 and White 2, but the Elite Four battles are among the most intense and exciting portions of the games. Though Nintendo and Game Freak's decision to make direct sequels ended up having beautiful results, Pokémon Black and White gain a marginal advantage over Black 2 and White 2. 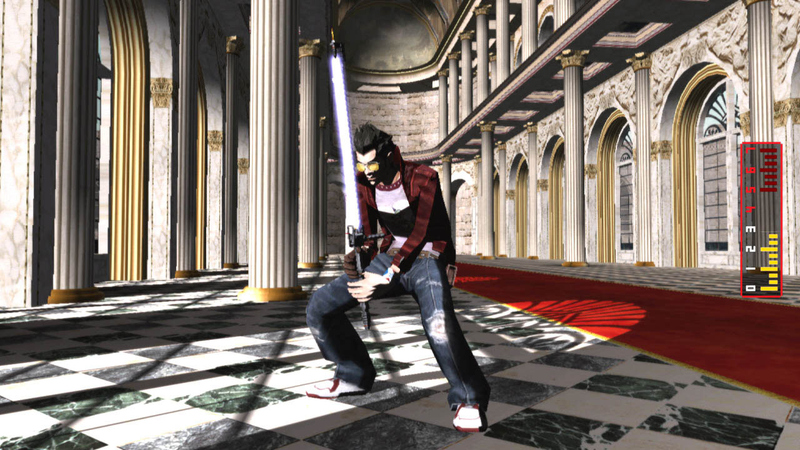 #1 – No More Heroes: Though I fell in love with No More Heroes 2: Desperate Struggle back in 2010, I actually did not play the original No More Heroes in proper until this year. While there are a few differences in the way the two play, I consider them equal in quality – though the second has better pacing and does not require Travis to complete side jobs to progress to each new ranking fight, the fights and characters themselves tended to be more memorable in the first game. Travis’ development from socially awkward otaku who wants to be number one to his eventual understanding of the gravity of what being an assassin can mean is something that gradually unfolds, and is wonderfully scripted instead of being explicitly stated to players. 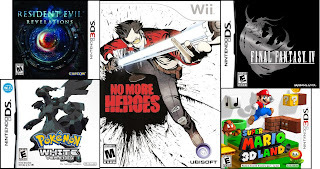 The gameplay is a perfect balance of traditional joystick and buttons with motion controls, the soundtrack is phenomenal, and No More Heroes is easily one of the best games to come out for any of this generation’s consoles. From the outset of my compiling this list, I knew that the top two ranked anime would be neck-in-neck. Both of them are phenomenal and rank among the best series (anime or otherwise) that I have ever indulged in. When it gets right down to it, my decision for which series would be ranked number two and number one was by the smallest of margins, but ultimately Neon Genesis Evangelion won the day. Neon Genesis Evangelion is one of the most complex and intelligently written series I've ever watched. To this day, it is one of the most highly-contested anime of all time, with fans discussing the different endings and underlying religious themes. It's a series that spends as much time exploring the inner workings of the characters' minds as it does toying with those of the viewers. In keeping with many of the anime on this list, it maintains a balance between the action and the thought-provoking moments. Except that in the case of Evangelion, it makes you think actively more and more as the show progresses. Rewatching the series a second and a third time, I picked up on discrepancies that I did not during my initial viewing, and it's pretty crazy to think just how much attention to detail Hideaki Anno and his creative staff paid when crafting this story. There are many viewers who would say that Shinji Ikari is a boring, whiny and annoying lead character. Personally, I think his presentation is perfect. He, Rei, and Asuka are all fourteen years old and learning to cope with a number of changes within themselves, let alone the ever-present threat of the Angels. Asuka wants nothing more than to display her skills as an Eva pilot to everyone, while Rei was created for the specific purpose of being an Eva pilot. Meanwhile, Shinji originally doesn't want to go into battle, largely because of his rocky relationship with his father. At the end of the series, he still doesn't want to pilot Eva Unit 01, because people he cares about continue to get hurt. But if he doesn't pilot it, even more people will end up hurt, and so there is a constant inner struggle piled on top of his lack of understanding of girls, his unresolved daddy issues, and his fear of closeness that both results from and perpetuates all of these problems. What Mobile Suit Gundam did in defining the standards of mecha anime, Neon Genesis Evangelion does in breaking all of those conventions and then redefining them. It's a wildly experimental anime for its day - one that dared to push the boundaries of the familiar and turn many staples of science fiction on their heads. It's an incredible mixture of mecha action, religious symbolism, teenage angst, and Freudian psychology - one that I feel is unparalleled to this day. What begins as a somewhat unorthodox series of teens thrust into saving the planet from monstrous angels breaks down the ideas of just what it means to be human, with the best plot points emerging from the darkest of scenarios. 2012 was sort of a strange year for me with regards to gaming. My return to handheld gaming was triumphant, due in no small part to the latest addition to my console collection, the 3DS. But there were also a number of standard DS games that proved a lot of fun - in fact, most of them were handled better than most of the home console releases I played. I don't mean to say that all of the major 2012 releases were disappointing - Fall of Cybertron satisfied my inner Transformers geek while I was able to look past the hiccups in Resident Evil 6 to find a decent entry into what has quickly become one of my favorite gaming series in recent years. But when these and big-name releases like Halo 4 and Final Fantasy XIII-2 cannot impress me in the way that the fifth generation Pokémon games or the DS remake of Final Fantasy IV do, it's a peculiar scenario to say the least. From the mind of Suda51 comes another quirky release, this one a throwback to old-school platforming adventure games. Black Knight Sword follows the titular character and the spirit of his blade known as Black Hellebore as they venture through five different stages, confronting the forces of the White Princess. The presentation is that of a play, with the narrator reading poetic lines to preface each stage and the character models and enemies appearing as paper puppets - to be frank, the artistic direction is not so unlike the animated sequences of the Monty Python films. Each stage that the Black Knight journeys through proves wackier than the last, with the first two stages apparently inspired largely by medieval and Greek fantasy. Later stages include motorcycle gangs and a missile launch site in the American west, and one part of the game even switches to a side-scrolling shooter akin to Gradius, except that the Black Knight is mounted on the back of a giant chicken. With regards to the core gameplay, the Black Knight's attacks are rather limited at the start of the adventure, though he can spend hearts he collects from fallen foes to earn a larger health meter, imbue Black Hellebore with greater power, or buy an extra life. At the end of each stage, the Black Knight will learn a new attack, though some of these prove far more useful than others, given the nature of enemies on any given stage. Also, the order in which the Black Knight receives these seems somewhat backwards. The degree of challenge the game dishes out is significant - it isn't downright impossible, but it does follow a tradition long-since abandoned by contemporary platformers. While you are able to start the game on any difficulty setting the moment you begin playing, the game encourages multiple playthroughs, with the easiest means of acquiring better health and offensive measures coming from a playthrough of easy difficulty, then normal, and finally hard. Another archaic element is the lack of an autosave feature - players must pause the game and manually save, though they will pick up the game from whatever most recent checkpoint they have reached on a given stage. Different enemies require different tactics, and there are a couple of recurring miniboss encounters. While these are moderately challenging, the end-level boss fights are truly the highlights of all the combat scenarios, as they allow the Black Knight to make the most use of both his traditional attacks and magic via Black Hellebore. Cat's Head Grass acts as a collectible, with a few hidden in each stage. Beyond the main game is a challenge mode and arcade mode, upping the replay value a notch or two. Black Knight Sword is clearly aimed at fans of rigorous old-school platformers, and as long as those gamers don't mind the moderately bizarre presentation, they should find the few hours spent with the Black Knight and Black Hellebore quite enjoyable. Easily my favorite fantasy epic of all time, the story of the brothers Elric is wildly original, action-packed, and genuinely emotional. Edward and Alphonse are lead characters that I was immediately able to relate to, and despite the world they live in being fantastical in nature, their friends are very well-rounded, which allowed me to suspend disbelief when watching any given episode. Though the alchemy bears similarities to the magic used in Harry Potter, the world of FMA is more so grounded in reality as a sort of alternate take on the technology and culture of the early 1900s. I do love the original Fullmetal Alchemist, despite the major deviations it has from the manga source material. And while I do prefer the time spent developing Lust and Greed in the first anime, I think the Homunculi's character traits are more fitting in Brotherhood. Also, the manifestation of their powers - specifically in the cases of Gluttony, Envy, and Pride - are more alien and grotesque, lending them to becoming further removed from the humans they look down upon. Fullmetal Alchemist has perfect pacing from start to finish. I cannot find a single flaw with it, considering just how much more ground Brotherhood had to cover than its predecessor. The best plot twists still resound as powerfully as they did before (here's looking at you, Maes Hughes), and new high points prove splendorous and rewarding. 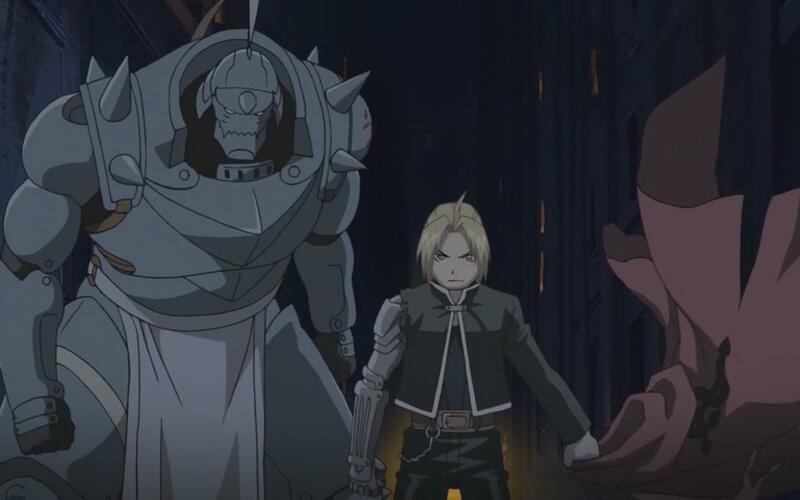 Thanks to updated animation and a brand new fully-orchestrated soundtrack, the show looks and sounds as beautiful for a 2009 release as the original Fullmetal Alchemist did for a 2003 release. Fullmetal Alchemist: Brotherhood is certainly a darker tale than the original, and it makes this aesthetic appeal obvious from a very early point. The original anime reserved the majority of its dark fantasy elements for the second season, while Brotherhood taps into them in order to better explore what 'Truth' lies beyond the gate, the nature of the Homunculi, and the gravity of the Elric Brother's attempt to revive their dead mother. Though the basis of what the Elric brothers are striving toward is made clear from the outset, many obstacles force them to question their motives as well as how much they really want their bodies back. What results is one of the most wonderfully human tales realized in any anime. An adventure into the realm of dreams and an exploration of the ways in which humans choose to respond to their dreams, Paprika is a wildly original and wonderfully creative film. The plot follows Dr. Chiba Atsuko and her fellow scientists who have developed a device known as the DC Mini, which is meant to aid dream therapy. The intent is that final production models of this device will have security features that would prevent them from being misused - that way, no one could tamper with patients' minds. However, one such device goes missing before it is fully equipped with these security features, and certain individuals begin to act strangely, putting themselves in danger. 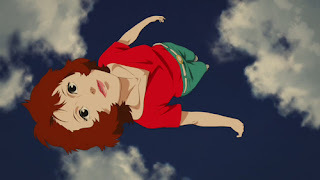 While Dr. Chiba Atsuko does her best to uncover leads to who might have stolen the DC Mini and what they intend to do with it in the real world, her alter ego Paprika covers the front of the dream world. Paprika is not required to play by any rules, though both she and Atsuko recognize the importance of handling their presence in other's dreams with the utmost care. Though Paprika can dig for clues by breaking through folds in the dreamscape and can outrun danger by changing her physical form, the individuals whole stole the DC Mini are also tapped into the dream world and are equally capable of adapting on the fly. What makes the delivery of Paprika's story so entertaining is also what makes it so intense and cleverly scripted. While Paprika and Dr. Atsuko are technically the same person, they could not be more different. Dr. Atsuko is the methodical and professional side, putting her work first and chiding her colleague/eventual love interest Kosuka Tokita for his sometimes childish behavior. Meanwhile, Paprika dares to be bold in her exploration of the many planes of the dreamscape. The two disagree at how to tackle the series of events, and present a highly amusing back-and-forth decision-making process of one inner psyche. The film simultaneously incorporates something not often presented in similarly-themed works - having elements of the dream world bleed over into reality, and forcing both characters and viewers to question where they are at key points in the story. Paprika is a spectacle to behold, and is a standout anime film. Satoshi Kon's creativity is overflowing through one of the most colorful worlds ever envisioned in animated entertainment. Paprika is a film that perfectly balances a modern day detective case and one awesome-scaled adventure, elements that parallel Dr. Atsuko and Paprika respectively. Hayao Miyazaki's films have left a huge cultural impact - not just on other anime, but also on Western animated works. Disney's distribution of the Studio Ghibli films stateside has allowed these beautiful tales to break further into the mainstream than most anime. My familiarity with the Studio Ghibli films comes first and foremost from the more well-known releases. 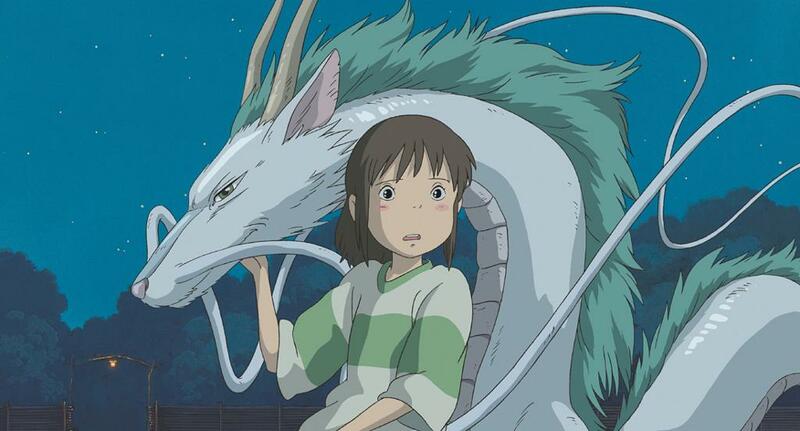 I've seen Princess Mononoke, Castle in the Sky, and Howl's Moving Castle, and while all of these films were masterfully crafted, no Studio Ghibli (and few animated films in general, for that matter) have captured my imagination and brought out my inner child as much as Spirited Away has. The story begins with young Chihiro moving to a new house with her parents. When they make a brief stop on the way out of sheer curiosity, Chihiro becomes trapped in a fantasy world and her parents are transformed into pigs. She must rely on her wits, strike up a deal with a witch named Yubaba, and determine which of the mythical inhabitants of this realm are friendly to Chihiro's cause of returning her parents to a human state and finding her way back to her own world. The presentation of the spirit world is gorgeous, and combines elements of feudal Japanese architecture, fantastical environments like an endless sea, and modern technologies like a train. The spirit beings themselves take on many different forms. Running the steam room is a humanoid individual with multiple arms. No Face, one of the more iconic spirits and major characters in the film, is comprised of little more than a painted white mask and black hood that tapers off into transparency. Meanwhile, talking frogs and giant walking Turnips make for some of the more outlandish designs. 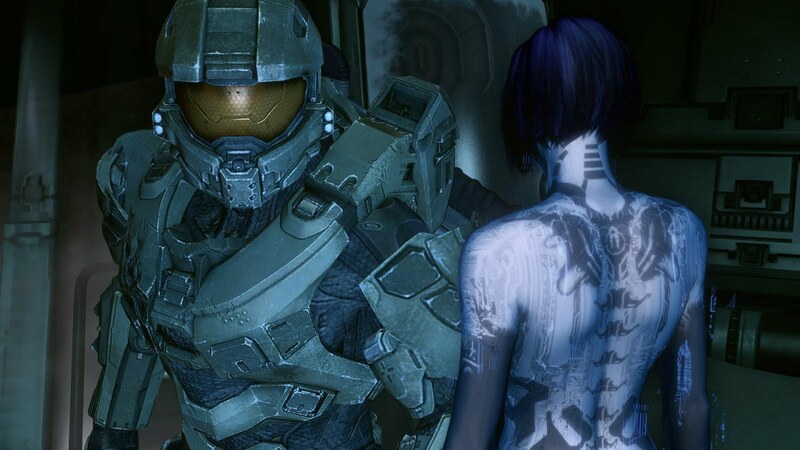 Having the lead protagonist be ten years old is part of what allows the story to play out so perfectly. Chihiro is old enough to understand the real danger of never being able to return home, but also faces moments of self-doubt and fear. While she wants to return her parents to normal, she is also willing to help out spirits in need along the way - most importantly Haku, a young boy also in the service of Yubaba. Spirited Away is a wonderful film that breathes genuine human emotion and exciting fantasy storytelling through each and every scene. 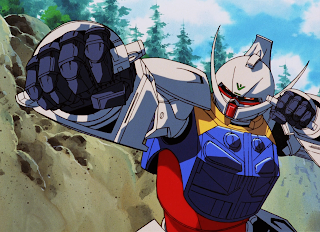 On quite the opposite end of the spectrum as the hopeful and adventure-oriented Turn A Gundam is the gritty and extremely realistic vision of mobile suit combat as presented through Mobile Suit Gundam: 08th MS Team. This OVA follows Shiro Adama and his ragtag group of Gundam pilots as they combat Zeon forces in the jungles of Asia. Because they are using production model ground-type Gundams, their offensive measures are nowhere near as dynamic as the capabilities presented to Kamille Bidan in his transformable Zeta Gundam or even Amuro Ray in his original Gundam RX-78-2. The armor used on the ground-type Gundams is nowhere near as durable as that of its more famous counterpart, and as a result the combat scenarios become far more tactical and interesting. Every mission is carefully planned by Shiro, and he relies on his teammates to bond as a unit (even if that process is gradual and they don't feel any real reason to respect him on his first day planetside). Shiro interacts with local villagers, and through this the series does a great job of painting a very vivid picture of a small, contained environment, whereas some other Gundam series tend to aim for a grander scale. The storytelling is arguably where 08th MS Team makes the strongest divergence from traditions of the Gundam franchise. Not only is the Earth Federation's perspective presented through Shiro, his squadmates, and a handful of superior officers, but members of Zeon get a fair share of time in the spotlight as well. Aina and Gineas Sahalin are members of one of Zeon's noble families, and Aina looks after her brother whose illness and stress over research projects meant to act as trump cards of the Federation forces cause him a great deal of stress. Before she even arrives on Earth, Aina has a chance encounter with Shiro, and the two eventually find themselves caught up in a difficult romance scenario. What follows is a gradual mounting of attacks from one faction against the other. Zeon continues research and development of the mega-powerful mobile armor Apsalus, while the Federation forces constantly target key Zeon bases in an effort to push back their enemies. 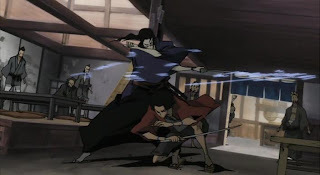 Shiro and Aina both question the morality of what they are fighting for, and as a result Shiro is brought before a Federation council for interrogation on his true allegiances, while Aina tries to convince her brother Gineas that the Apsalus project is not worth risking both his physical and mental well-being for. 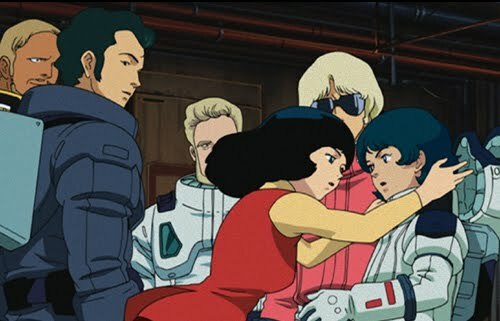 The combination of a classic Romeo and Juliet love story barred by a larger conflict plays out interestingly in this Gundam setting, and makes for one of the best Gundam series ever made due largely to the fact that it is driven by quality storytelling that knows exactly where it is going from the outset and does not find itself bogged down by unnecessary subplots. There's a reason why I don't watch much in the way of contemporary mecha anime - far too often, creative teams get caught up in the clichés of ridiculous action scenarios. They would rather their creations look cool and have them pull off incredible feats than worry about decent plot and character development. 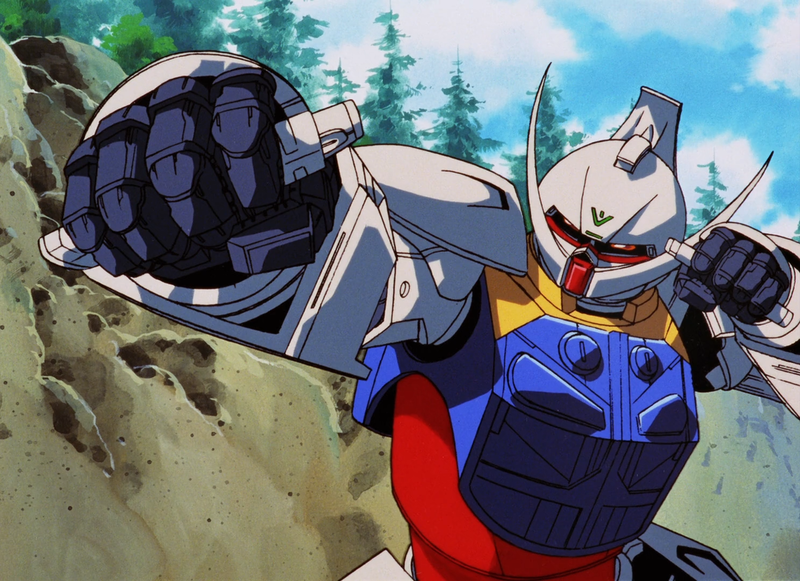 Meanwhile, those that do plan a series with better intentions frequently end up imitating the giants of the genre, and to that end I feel like there have been few mecha series outside of Gundam and Evangelion post-2000 that merit much recognition. That said, I would very much love to see a new anime try to adopt a formula as bold and unexpected as Turn A Gundam did in 1999. 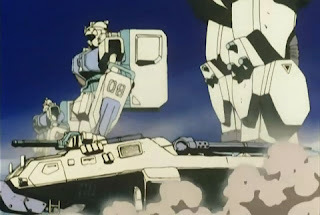 To me, this is one of the most creative mecha series ever conceived - perhaps second only to Neon Genesis Evangelion, which predates it by four years. The combination of World War One-era technology with giant mobile suits makes for a world that could more or less be considered steampunk long before steampunk was recognized as a genre or a subculture. The time and place of the story reflects quite noticeably on the characters. From the outset, it is made clear that people live their lives day-to-day, relying on the transportation methods of trucks, biplanes, and zeppelins, while their cities are illuminated by streetlights and early neon signs. When they first discover the huge mobile suits, some of the elders share what they know of the Black History - records of days gone by, when man was capable of travelling into space and mobile suits were commonplace. At the same time, a faction of humans living on the moon has been plotting a return to Earth. These Moonrace have been in talks with a select group of individuals about where they hope to settle, but since they are unable to come to an agreement, the Moonrace land on schedule with no real plan other than to seize a small plot of land for temporary use until further negotiations are to occur. There are some early skirmishes between the Earth military's trucks and planes and the Moonrace's gargantuan mobile suits (the WaDoms being big even by traditional Gundam standards). And while these flames of war are quickly doused, a tense atmosphere remains as everyone waits for Dianna Soriel, queen of the Moonrace, to make her next move. Lead protagonist Loran Cehack was sent to Earth years ago to scout out the possibility of a return for the Moonrace. After his task was completed, he was free to do whatever he wished, which - prior to Queen Dianna's arrival - was acting as an assistant to the Heim family. But when the factions of Earth and the Moon are at odds, Loran must decide where his true allegiances lie. As the series progresses, Loran becomes aware of events going on behind the scenes with either faction, and frankly has one of the most interesting and genuinely human developments out of any lead pilot in the Gundam franchise. The mecha designs range from curiously unique to wild and outlandish. Turn A Gundam is the first and only series to have its mecha designs come from an American artist, Syd Mead, and as a result it draws heavy inspiration from other particular Gundam stories, in certain cases. At the same time, the more strange and unusual a mecha design, the more fresh and interesting it is to look at, and an aspect as simple as this makes the viewing experience all the less predictable (also lending to this element of presentation are the giant pendulum-like device that allows Loran and company to travel to the Moon late in the series and the presentation of the lunar cityscape). The soundtrack, courtesy of the ever-talented Yoko Kanno, is simply gorgeous, and coupled with the colorful presentation of a largely natural and untamed world, allows the beauty of nature to shine through as much as the awesome designs of the series' signature giant robots. When Sgt. Keroro and his ARMPIT Platoon land on Earth, they have no idea just how far their conquering of the planet will be set back. Keroro initially sets up shop in the Hinata household with school-agers Fuyuki and Natsumi, and their mom Aki. The Sarge would have the audience believe he rules the home with an iron fist, but the opposite is true - Keroro performs daily chores for the Hinatas and has had his nefarious jack-of-all-trades Kero Ball taken from him for safekeeping. Even after he manages to get in contact with the other members of his platoon, Keroro's plans on conquest either fail in spectacular fashion or simply take a backseat to his obsession with Gundam model kits. Neither scenario does much to please gung-ho Giroro, but has the complete opposite effect on Kululu, who revels in the misfortune of others. Meanwhile, Tamama wants to prove his worth to Keroro but finds he gets plenty of pampering and attention in his new mansion home (owned by Momoka, resident rich girl who has an unhealthy crush on Fuyuki as well as a split-personality). Dororo, the ninja frog who believes in harmony and reason over violence, is constantly left out of plans and forgotten by his squadmates. The cast is plenty quirky, and their interactions set up for plenty of humor in themselves. But it is the writing that really makes Sgt. Frog a standout comedy anime. 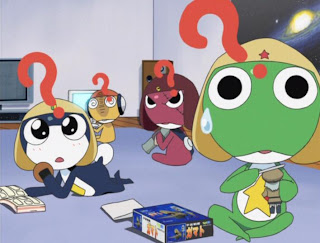 Keroro's portrayal as an incompetent commanding officer who has a thousand excuses as to why he can't conquer Earth (or Pekopon, as he refers to it) today, makes him an immediate target from both his platoon and his adoptive family. If he tries to make any progress, he's bound to get punished, but a lack of ideas means his troops will grow restless and the Keronian military will not look favorably upon his leadership skills (or lack thereof). Most episodes are parodies of other works - some more direct than others - and include nods to Mobile Suit Gundam, Neon Genesis Evangelion, Saturday Night Fever, and Dragon Ball Z, just to name a few. Meanwhile, both the cast and the cynical narrator (whose role in the series is more involved than most) crack jokes regarding the ridiculous plotlines of certain episodes and reference/poke fun at other works like Indiana Jones and Macross. Sgt. Frog is a hilarious romp through one pop-culture reference after another. At the same time, though, Sgt. Frog does well to identify itself as a new and separate series from the previous works it draws comedic inspiration from, and to that end it is one of the most original and consistently funny anime I've ever watched. Ten years before the start of the anime, two zones known as Hell's Gate and Heaven's Gate opened and caused the emergence of Contractors, humans with limited superpowers. These superhuman Contractors are not the jack-of-all-trades types like comic-book icons, but instead are granted use of one specific power (some more powerful - and arguably more practical - than others). Each Contractor must pay a price through some regular habit, even if it is something as strange as folding the corner of each page in a book or eating dandelions. Most Contractors view themselves as separate from humans - not just because of their powers, but also due to their logic-driven nature. Contractors rarely show genuine emotion, and some consider themselves superior to humans. But just because they all share similar traits does not mean they all serve the same cause. Some Contractors act in the interest of their own greed or power bids, others operate solo, doing their best to stay out of the spotlight. Lead protagonist Hei works for a mysterious organization known as the Syndicate in hopes that he can find out what happened to his sister all those years ago when the gates open. Hei works alongside three others. Mao is a fellow contractor whose ability to control other bodies left him in control of a cat after his original human body was lost. Though he is not of much use in a fight, his previous experiences are something he hopes will serve Hei well, even if Hei chooses to ignore his advice at times. Yin is a Doll - a being that is as semi-human as a Contractor - bearing the appearance of a young woman and incapable of expressing emotion. Huang is a human whose past investigations found him caught up in the Syndicate's affairs. His perspective is perhaps the most interesting (once the show gives further back story on Huang), as he does not care much for Contractors and has effectively been forced to work for the Syndicate. Darker Than Black's storytelling method is an interesting one, as it spends plenty of time balancing present-day events as they unfold with Hei's past. One of the earliest Contractors of interest to Hei that comes onto the scene is Havoc, who was also involved in the business regarding Heaven's Gate. Havoc was one of the most feared Contractors of all, and Hei believes she may know something about what happened to his sister. Also a major point that comes into play is Hei's brief interactions with police officer Misaki Kirihara, who is tasked with investigating cases concerning Contractors. As each Contractor has a star that correlates to them in the night sky, it isn't terribly difficult for Kirihara and her colleagues to keep track of how many Contractors are out there. The challenge is figuring out which star belongs to which contractor, as well as who these contractors actually are. 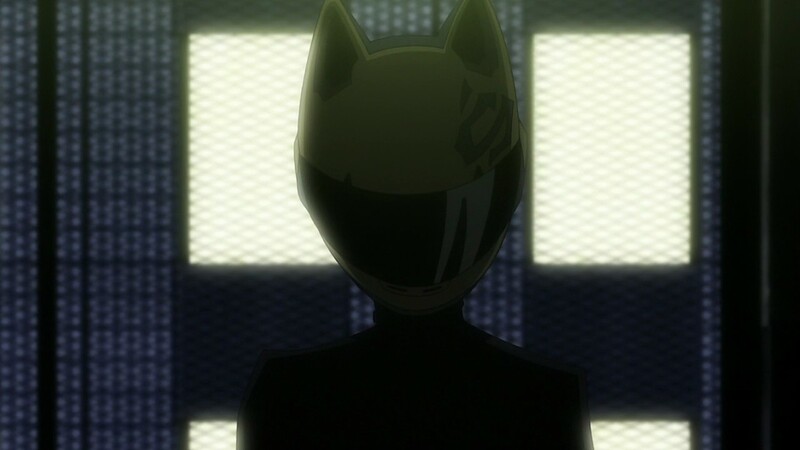 And since Hei always wears a mask when on a mission, he has earned himself two other names - his official designation "BK-201" and his nickname "The Black Reaper", the latter of which is a nod to his skill and efficiency as a Contractor. 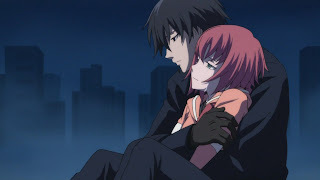 The story of Darker Than Black is concerned first and foremost with Hei, and his time in the spotlight increases late in the show. That said, the anime does well to sufficiently explain who his allies and enemies are, as well as what importance each of them has to the tale at large. The series presents an interesting blend of superhero-style conflict with a detective story, as there are a number of factions all gradually honing in on Hell's Gate in Tokyo. Darker Than Black presents a great balance of the stylized action with believable consequences, and alien abilities within a real and practical setting. A short but incredibly wacky series, FLCL chronicles Naota's encounters with Haruko and the crazy results of his head being used as a portal to try and find the powers of the pirate king Atomsk. 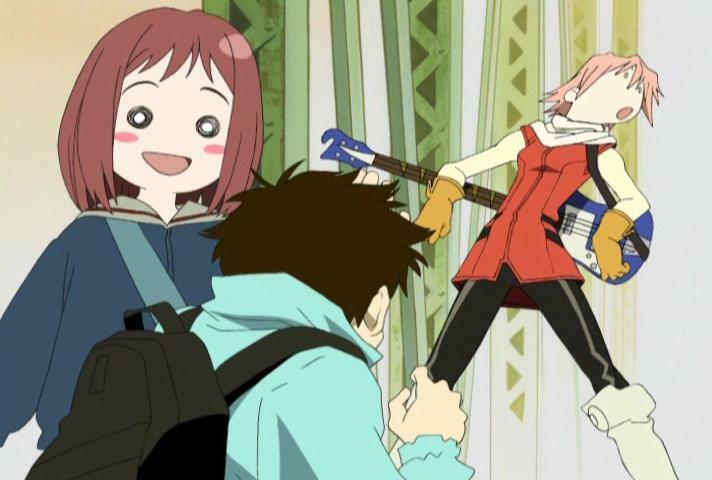 FLCL throws viewers right into the thick of its off-the-wall comedy minutes into its first episode, with Naota's forehead on the receiving end of Haruko's bass guitar. And if scenes including giant robot fights on top of bridges and an overly-intense airsoft gunfight weren't enough, the writing ensures you'll be in stitches every step of the way, with Naota's dad dressing the part of Lupin as well as having written an entire book on the mysteries of Evangelion, his grandpa getting upset over the fact that robot servant Kanti didn't buy him the "Hustler with the Anna Nicole centerfold", and a temporary shift to manga presentation in the debut episode. Beneath this comedy exterior is a story of growing up. With his brother living in the U.S. and his father less-than-responsible, Naota lives out a dualism of being a teen and practicing self-parenting. His feelings toward hyper-active and bizarre Haruko are initially negative, as he views her as simply another hassle to his daily schedule. And in an interesting twist on the familiar and expected formula, Naota becomes less concerned with keeping things on a strict and regimented schedule and learns to open up, live life a little more loosely, and in the process discovers just what being a teenager is all about. For its original 2000 release, FLCL looks downright beautiful. For such an experimental release, the anime looks good even by today's standards. The world is bright and colorful, and the soundtrack kickin' thanks to the talents of J-Rock band the Pillows. FLCL is a rare gem - a series that flawlessly combines hilarious characters with a genuine coming-of-age story. 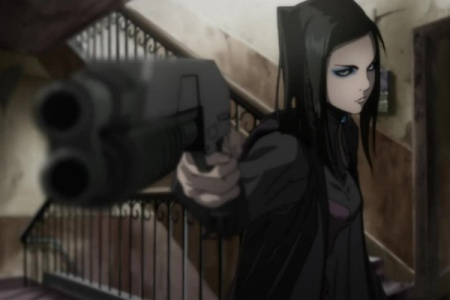 One of the first (and one of the few) dystopian anime I've come across, Ergo Proxy is set in a future where humans live in domed cities, cut off from the outside world. People go about their everyday lives, and there is a distinct separation among the social classes, with a handful of individuals influencing the social and political structure therein. It is forbidden for anyone to exit the city, and those who do so are essentially left for dead. Re-L Mayer, a young female investigator and granddaughter of the city's Regent, gets caught up in a conspiracy early on that revolves around the Proxies - greater than human entities with unique powers - and the experiments that the scientists of Romdo have been performing on one of them. She finds one immigrant worker named Vincent Law of particular interest, and ends up following him beyond the walls of the city. Re-L comes to learn that the outside world - while desolate - is not nearly as lethal as the people of Romdo believe it to be. The true threat, in fact, lies within the cities. The experiments carried out in Romdo ultimately lead to grotesque mockeries of both humans and proxies, while the mechanical AutoReiv companion Re-L was assigned ends up turning on her. As Re-L, Vincent, and another child-like AutoReiv named Pino explore other long-abandoned dome cities, they come to learn what caused the fallout that scorched the Earth. They also run into a number of other proxies, some of whom utilize direct combat and others who rely on psychic manipulation and illusions. 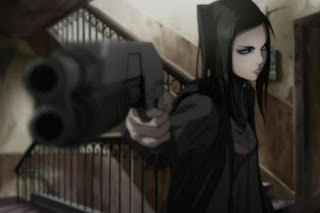 Ergo Proxy is a very well-crafted cyberpunk series presents both a pristine cityscape which is the lie people are constantly exposed to and a dark and dead land beyond that holds the truths Re-L and Vincent seek. There are elements of "science gone wrong" and "man vs. god" at play, but they are not overbearing and the story spends plenty of time setting up these points of interest. It's an entertaining break from other cyberpunk anime, as it is as much about solving the mysteries at work as it is about the sense of exploration of a world thought long-gone. Using many schools of hip-hop to build the soundtrack to a series about Japanese samurai may seem unusual and strange. In some ways, it is. But that aspect certainly does more to help than to harm in cultivating a unique identity for Samurai Champloo. It is an anime equally concerned with the development of its curious lead trio as it is with the artistic value of its presentation. There are tracks that play over dynamic sword fights that empasize fast drum beats, and there are those that are smooth and mellow that fit well with the anime's more sentimental moments. The distinctly different musical styles that Tsutchie, Fat Jon, and Nujabes bring to the table are something of a reflection of the lead characters themselves. 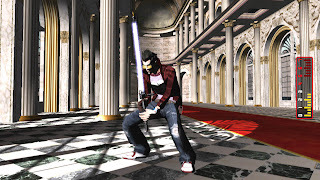 Jin is a classically trained samurai - noble and quiet - who is coming to understand just what the end of the era of samurai means for himself and those he once studied and trained with. Mugen is a brash rogue who is very skilled with a sword. His fighting style is most unorthodox, with some of his dodges and blocks more akin to break dancing. Meanwhile, Fuu made a deal with the two of them that they are not allowed to fight one another until they have successfully escorted her to find her father, the Samurai who Smells of Sunflowers. Though Fuu has no training in combat, she is shown to be incredibly resourceful and a go-getter, offering ideas to her travelling companions on how to make money when they are down on their luck while simultaneously acting as a source of comedic relief. Samurai Champoo is both stylized and believable in its presentation of Edo-era Japan. On the one hand, the fights are concerned primarily with adding cool-factor and some of the subplots make little-to-no sense within the historical context. On the other hand, it's quite clear that Japan's phasing out the samurai and old societal pillars is constantly present, even if these themes are more present in some episodes than others. The technology and customs are spot-on, and by and large the series allows viewers to suspend disbelief that everything is in fact happening in Edo-era Japan. It's both a work of historical fiction from the larger perspective and an funky action-comedy about a ragtag trio at its core. A dark look into the inner workings of the human mind, Paranoia Agent is set in a localized area of Tokyo. It focuses on a small circle of individuals and the way in which they interact with one another, whether consciously or not. 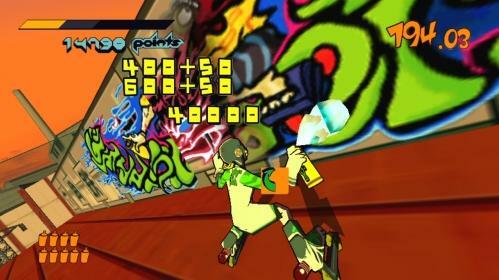 The story kicks off with an incident involving a young woman being attacked by a roller skating assailant wielding a bent golden baseball bat. As word of this curious case spreads throughout the immediate community, people begin to come up with their own impressions of the roller skating kid, and dub him "Lil' Slugger". 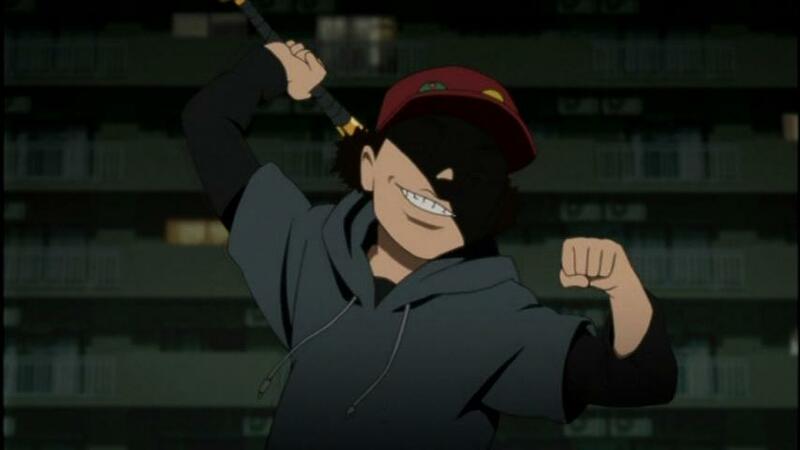 The cast of Paranoia Agent is an unusual one, to be sure. A split-personality prostitute, a duo of detectives, a sleazy journalist, and a popular middle school student are just a few of the faces that get wrapped up in the rumors surrounding Lil' Slugger. As more people come to hear about the initial attack, they begin to weave tales of their own, claiming he was spotted as such and such place and has odd behavioral tendencies. The more time these characters spend fixating on who the real Lil' Slugger is, the more their perception of reality is altered in accordance with it. One of the detectives chooses to view the case as a battle of might and monsters, while others are less extreme but may lead them to uncover dark truths about themselves or their friends and family. Because the presentations of all these different visions of Lil' Slugger lack much in the way of concrete evidence, the series does as much to mess with the minds of the characters as it does to mess with the minds of viewers. Each episode ends with more and more possibilities presented to the audience as to the nature of the case, making absolute truth less and less certain. It's a dark and methodical series, despite the aforementioned descent into near-chaos. There are false leads and subplots abound, making the entire viewing experience a most unusual, yet thoroughly satisfying modern detective tale. A classic from the days of Toonami's original run, Outlaw Star holds a special place for me. It was one of the first anime I ever watched, following the likes of Ronin Warriors and G Gundam, and was also among the first I followed all the way through (with the obvious exception of the hot springs episode, which was omitted from the Toonami airing in the interests of a young audience). It's the first gritty anime I was ever introduced to, and it broke a lot of conventions that other anime followed for the day. Many people compare it to Cowboy Bebop, but I feel the two have strong identities separate from one another. Whereas Bebop is focused on a small group of characters hoping to make a living by chasing one bounty after another, Outlaw Star is concerned with the story at large - the search for the fabled Galactic Leyline. The cast of Bebop is quirky and plays off one another in an oddball fashion, with the characters gradually settling their differences. Each episode is largely dependent of the next, with the rivalry shared by Spike and Vicious only popping up on occasion and setting the stage for the series' finale. Though Gene Starwind and his pal Jim are the dynamic duo at the outset, they admittedly have little idea as to what they are getting themselves into, as their discovery of Melfina opens doors to numerous adventures across the stars. Outlaw Star's cast gradually comes to recognize their dependency on one another, and develop a sort of unspoken comraderie - Aisha because she is too proud, Twilight Suzuka because she recognizes Gene still has a lot to learn, and Melfina because she lacks understanding of her role in the universe. There are brief distractions and side stories, but by and large Outlaw Star stays on course, with the Galactic Leyline constantly on the minds of Gene and his crew. Gene is a go-getter, with his eyes always on the prize. His methods are a bit unorthodox, though he can certainly hold his own in a shootout, his skills only improving after he acquires his signature Caster Gun. What stands out the most about Gene, though, is his fear of space. A traumatic experience from his past made him practically give up hope on ever getting off his planet of residence, but when he pilots the Outlaw Star and has onboard computer Gilliam providing assistance, Gene feels right at home. 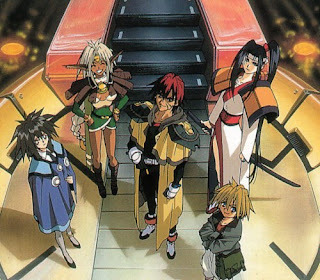 A modern spin on Treasure Island, Outlaw Star does what a lot of sci-fi series featuring space-faring rogues step away from - it incorporates elements of magic and mythology. Aisha Clanclan is not only a member of the highly influential Catrl-Catrl Empire, but is also capable of transforming into a beastly cat when placed in circumstances of intense pressure. 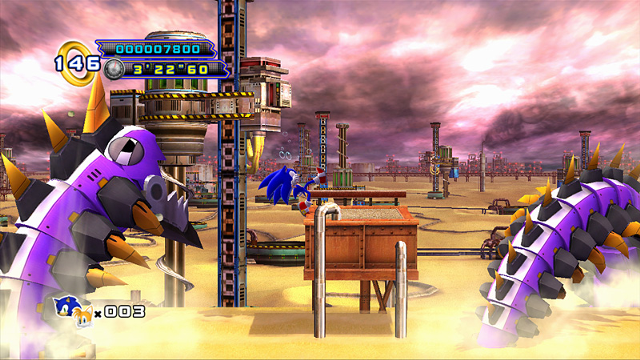 Gene's Caster Gun uses rounds that fire different elements, which each having a different effect on his foes. Pirates and priests are privy to abilities similar to old-world understandings of black magic, while the Galactic Leyline acts as a maze to both the body and the mind. Meanwhile, Twilight Suzuka adds minor elements of feudal Japanese traditions. The amalgam of all this results in a product that certainly retains its vision as a space-age rendition of Treasure Island, but is far removed from the conventions of adventures in piracy. I watched Digimon through the first three seasons, and most of my favorite memories with it stem from the first two, as they were directly tied to one another. It's been said by many fans of Digimon that, though Pokémon generally has better video games, Digimon has arguably the better anime adaptation. Honestly, I could not agree more. Though Pokémon does have a single continuous story, the writers seem to hit a reset button with each season, leading viewers to more or less forget about the Pokémon Ash caught in the previous region. Also, the episodes of Pokémon (with perhaps the exception of the tournament battles and such) can more or less be viewed in any order without much being lost in translation. It is interesting to me that, while both Pokémon and Digimon were aimed at a similar demographic of young viewers, that they would take such drastically different approaches to storytelling. In Digimon, there is a definite order to the plot progression, as well as a definitive endgame in mind each season. There are certain episodes that throw in silly subplots, which is in part a result of the weird and irregular nature of the digital realm from which the Digimon hail. 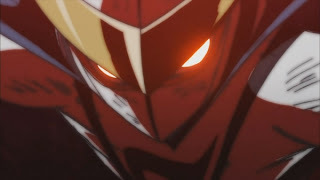 But from the Black Gears to the final battle against Piedmon and his forces, there is a fairly consistent progression and amping up of the intense situations the DigiDestined face. 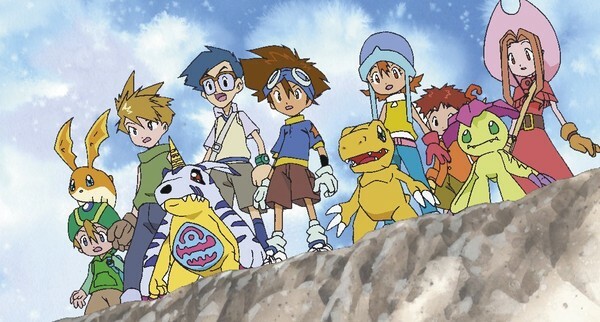 Though I am partial to the cast from the first season, the second season of Digimon Adventure did well to revisit familiar faces and introduce new ones. The theme of a torch being passed on to a new generation of DigiDestined - aided in no small part by the film that bridged the gap between the two seasons - allows the series to gradually head in a new direction while still retaining its roots. Similarly, the use of eggs and multiple Digivolved forms for each of the lead Digimon was a fun and creative spin on the previously established formula. And to add one further twist to the second season, the DigiDestined were pitted against the Digimon Emperor - a fellow human who had invaded the Digital World following the events of the first season and taken control. There have been many franchises since the days of Digimon and Pokémon that have tried to reach the same degree of fame and recognition, but the only one that has really come close to becoming so appealing to a young demographic is that of Yu-Gi-Oh!, which followed not long after. Digimon is a fun series from start to finish, and though it is clearly written for younger viewers, it still one of my favorite anime of all time. It's one of the first anime I ever watched, and I consider it to be one of the most inspiring toward my own personal creative works.